Students will sort Easter egg halves into woodwinds, strings, percussion and brass instrument families. 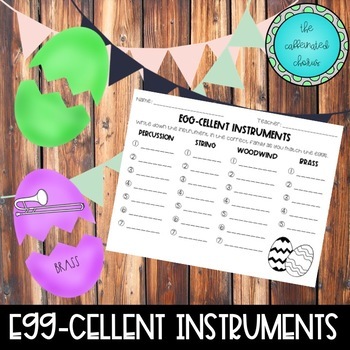 Check out other instrument family activities! Don't forget to review and get TPT credits towards future products!